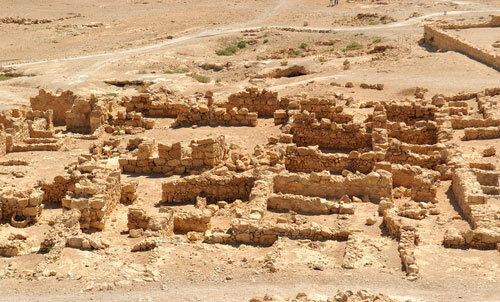 The meaning of archeological finds in Israel is up for interpretation. Tourists to Israel are often thrilled by the idea of traveling the land of Abraham, praying at the Western Wall, just a stone’s throw away from where King David‘s palace and Solomon’s Temple once stood. However, today’s archeologists are locked in a fierce debate over whether archeology can confirm biblical stories. The land of Israel has yielded many archeological finds, but what they mean is subject to interpretation: archeology is both influenced by politics and personal belief, and plays a role in shaping political discourse. In the mid-19th and early 20th centuries, British and American archeologists set out to test the truth of the Bible in a period where the “documentary hypothesis” had shaken the Bible’s previous authority. These explorers–some devout Christians, and others more skeptical–uncovered what seemed to be basic proof of Jewish, Canaanite, and Philistine settlements generally corresponding to the Biblical narrative. With Israel’s independence in 1948, archeology continued to shape the Jewish national narrative. For example, the fortress at Masada, discovered in 1838 by British archeologists and further excavated by Yigal Yadin in the 1960s, was heralded as confirmation of the heart-wrenching story of Jewish zealots who committed mass suicide rather than surrender to the Romans. The story of that last stand, spoke to Israeli fighters looking for models of Jewish bravery and willingness to fight and die for autonomy. 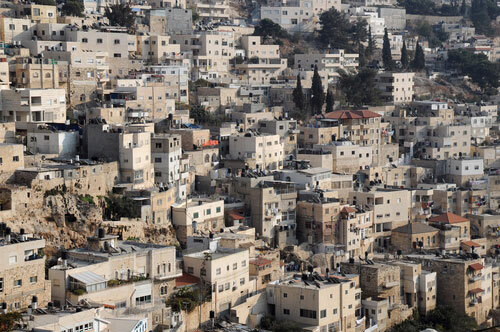 After the Six-Day War in 1967, Israel gained access to the entirety of Jerusalem. With the renewed access to the Old City, Israeli archeologists discovered testaments to life during the Second Temple period. This included the southern entrance to the Temple complex, thought to have welcomed Jewish pilgrims three times a year and the remains of the homes of Jewish priests. The finds from the Second Temple period are relatively uncontested, however much debate now surrounds the beginnings of Jewish rule in Israel and the Davidic Kingdom in Judea. In the past two decades, scholars and activists have accused archeologists of being driven to prove the truth of the Bible when dating and interpreting their finds. Underlying some of these accusations is the insinuation that Zionist archeologists wish to bolster the Jewish right to the land by pushing Jewish political dominance in Israel to an earlier date. Israel Finkelstein, a scholar at Tel Aviv University is one of the leading Israeli archeologists who questions whether the Bible can be relied upon as an accurate historical document, concerning the Kingdom of David. He points to the lack of evidence of a developed centralized economy and fortified cities in Judea (Jerusalem and its environs) during the period when David was supposed to have reigned. Finkelstein argues that there never was a “united kingdom of Israel,” under the rule of King David. Rather, generations after King David, the sparsely populated south became a power center due to an influx of refugees migrating from the destroyed Northern Kingdom. This led to a boom in population and a newly minted need for infrastructure, governance and a national narrative. Only then was the story of the unified kingdom under David crafted in order to consolidate power and integrate the Northern refugees. If King David did exist, then, Finkelstein asserts, he was a small tribal leader at most. At the center of this debate is the City of David (Ir David, in Hebrew), a small strip of land, which is located to the south of the Temple Mount, a plateau where both the first and second temples are thought to have stood. Digging underneath the Arab neighborhood of Silwan, which now sits above the ancient city, archeologists have discovered water tunnels and defense systems that date back to the Canaanites and the Jebusites (c.12th and 11th centuries BCE), from whom King David captured the city, according to the Bible. Archeologists also found 8th century additions to the tunnels, attributed to King Hezekiah’s attempt to divert the city’s water source to protect it from the Assyrian enemy, as described in the Bible (II Chronicles ch. 32:2-4). The Ir David Foundation, under the leadership of David Be’eri, says that they have discovered the place “where it all began.” On a tour of the ever-growing archeological dig in the area, one can see many impressive finds: clay seals documenting the names of two ministers to King Zedekiah, mentioned in the Book of Jeremiah (c. 6th century BCE); a huge pool which may have served as a mikveh (ritual bath) for pilgrims during the Second Temple period and perhaps during the First Temple period; and a wide avenue of steps leading through the city toward the Temple. The archeological park also screens a reenactment film of David’s capturing of the city. Most recent and perhaps most controversial is the potential discovery of David’s palace. For many years, traditional archeologists puzzled over the absence of a palace, within the fortified boundaries of the ancient city, befitting the royal King David. Archeologist Dr. Eilat Mazar went in search of a large residence impressive enough to match the palace described in the Bible. She convinced the Ir David Foundation to dig under its own visitors’ center north of the ancient Jebusite fortress, which served as the northern border of the city. “It must be above of the city,” Mazar reasoned, because the Bible writes that David went down to the fortress when an enemy approached, suggesting that his palace was unfortified. While excavating in 2005, Mazar found the walls of a very large structure as well as a tower, on the high ground north of the fortress, which may suggest that the Bible was as accurate as a map and that David lived in regal luxury. The naysayers, with Finkelstein at the helm, question the early dating of the find. Perhaps, the critique goes, the enthusiasm to prove King David’s importance and validate the Bible led Mazar to misdate the findings. The dating of building foundations throughout Israel isn’t extremely precise and is constantly being debated and revised. While archaeological finds of letters and stamps throughout Israel incontrovertibly prove the existence of a “house of David,” whether or not this structure was a palace belonging to David–king of the united Israel–is open to interpretation. While the debate about the past rages, many archeologist are concerned about the impact of the archeological dig on the present. A group of progressive archeologists, Emek-Shaveh (Equal Valley), as well as other activist groups such as Ir Amim (City of Nations), criticize the archeologists of the Ir David Foundation for their right wing political agenda and for ignoring the needs of the local Palestinians who live in Silwan, above the excavation site. Competition over land and history are loaded topics in East Jerusalem and Ir David dig is quickly becoming a tourist destination with a clear Jewish Nationalistic slant. Emek Shaveh runs alternative tours of the site in which they promote a sense of joint ownership over the finds and sensitivity to local inhabitants. Moreover, they choose not to engage in debates over the existence of King David and the dating of the newly found “palace.” Yonatan Mizrachi, one of Emek Shaveh‘s archeologists says that he espouses a more “modest” methodology, which argues that the discovery of a building cannot prove or disprove the existence of a Biblical character. Archeological finds reveal the historical layers of a place – population, housing standards, and daily living – rather than preserve national narratives. As right and left continue to accuse the other of being influenced by politics and belief, the hotly contested debates suggest that the promise of objectivity is a chimera in the desert. Numerous voices can be heard volleying over the fault lines in Israeli society–Jewish Palestinian, religious secular, right wing left wing–and all clamor for territory as the land is mined and carved and buried history meets present Israel. Pronounced: MICK-vuh, or mick-VAH, Alternate Spelling: mikvah, Origin: Hebrew, Jewish ritual bath. What to do if you or a loved one wants a final resting place in an Israeli cemetery. The Judean and Israelite monarchies from the rise of King Solomon to the destruction of the First Temple in Jerusalem. America's largest Jewish denomination, Reform began in 19th-century Germany.